WORLD’s test engineering team supports our customer in two ways: by analyzing the existing test strategy and by providing economically minded solutions to achieve performance criteria. 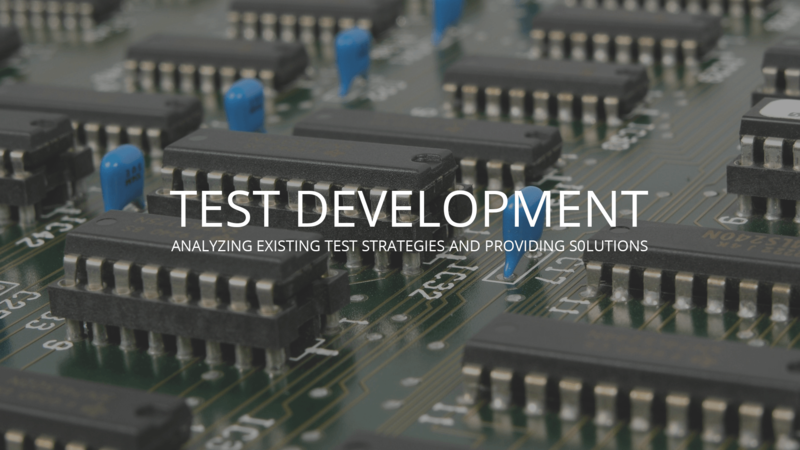 In the New Product Development (NPI) phase, WORLD’s test engineers partner with the customer to develop test strategies and hardware and software platforms to meet specific requirements. Because of this key strategy, we can more accurately test for specification and provide our clients with a better product. WORLD provides a vast array of manufacturing testing equipment services to diverse OEMs. With decades of experience in meeting the needs of globally recognized OEMs, WORLD is recognized for superior performance supporting companies from venture backed start-ups to Fortune 500 businesses. WORLD helps with manufacturing test design, development, manufacture, and deployment. This long term high performance is supported by an exceptional testing department. In addition to having the internal experience and skill to design, build, verify and validate functional manufacturing test equipment, WORLD also has the mechanical, electrical and software development capabilities to handle test equipment design from concept through total turnkey manufacturing on a fast track. Whether you need WORLD to consult with you on concept and design, or just manufacture, you can rest assured that the quality and reliability that WORLD offer will help your product satisfy market demand. What are the benefits of WORLD Electronics’ testing programs? As OEMs remain focused on bringing their leading-edge technologies to market, they typically do not have sufficient internal resources or focus to simultaneously develop the test and validation plans that will properly verify their scaled products. Consequently, they rely on WORLD’s competent and experienced staff to augment their needs. WORLD can complement an OEM‘s product development with our own manufacturing testing equipment and test set development, saving our clients time while upholding their rigorous testing standards. WORLD is fully equipped and staffed to provide engineering test services validating computer control systems, power delivery distribution, and precise mechanical operations. WORLD is prepared to utilize customer provided test fixtures, custom, and commercial, or we can assist you with the design, engineering and manufacturing of specialized test equipment complemented with comprehensive testing plans and procedural documentation. WORLD is ready to assist with any part of the manufacturing process, and have expertise and experience at all levels and at all stages of production and testing. Additionally, WORLD has extensive National Instruments and Lab View development capabilities to meet any custom requirement. WORLD also has the talent, focus, resource and most importantly experience to assist your company as we have done for startups and globally recognized OEM‘s. You can trust WORLD to meet all of your test equipment design, build, manufacture, and validation requirements. Working with our customers, we can help determine the optimal balance of test coverage versus test cost for any project, and pass this saving back to our clients. WORLD can manage the entire hardware and software development cycle providing invaluable assistance with test procedure deployment, verification processes, and data collection. Developed internally, the WORLD team has created, validated and released various protocols and numerous test platforms utilized virtually in all industry segments.